The secret of a brisée tart crust is to not overwork it. There are many ways to do this, but I prefer the “sablage” method : mix the flour and butter (in small cubes) as if you were making crumble. Then arrange it “en fontaine” (like a well) and add the yolk, and salted water into the middle. Mix with 2 fingers until you get a crust ball.Film it and let it rest in the fridge for 30 minutes. While you wait, preheat your over to 180°c and make the lemon cream : start by boiling together the lemon juice and 50g of sugar. On another pan, also bring single cream to a boil. Then on a bowl mix the eggs, yolks, 50g of sugar and maïzena. Add the lemon juice. Add the single cream. Film, and reserve. Take the crust ball out of the fridge and work it with a pastry roll (and a little flour, no excess) to match you tin. I recommend using parchment paper it makes everything easier. Pierce the crust with a fork to make sure the air comes out and blind-bake it with baking beans but remember to take out the parchment paper and the tin once the crust is solid enough to achieve that general golden-brown look. You should be able to do this after 15m, then let it bake for another 5-10m. 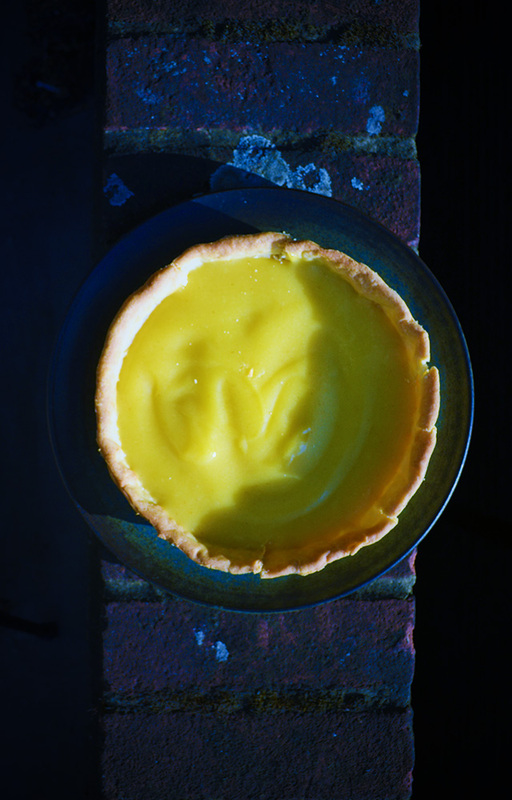 Once the crust it’s ready, let it cool for a few minutes then add the softened butter to the lemon cream, mixing it in delicately, and garnish your tart ! What did you think about this recipe? Do you do something different? Leave your comment below !